2012 will mark the 50th year of the most popular Arts and Crafts Street Festival in Palm Beach County! The Delray Affair is held outdoors along the beautiful brick sidewalks and palm tree-lined Atlantic Avenue in downtown Delray Beach. Each year the streets are open to pedestrians only from West of Swinton Ave to the Intracoastal Waterway. The annual Delray Affair draws accolades and crowds as one of South Florida´s oldest and largest outdoor arts, crafts and entertainment festival venues. 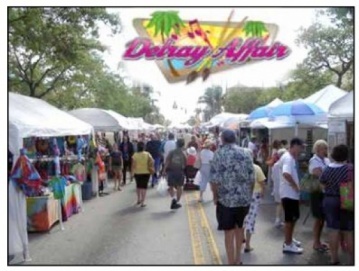 The Delray Affair stretches along Atlantic Avenue over 10 city blocks and side streets, in scenic downtown Delray Beach, Fri & Sat: 10am - 6pm Sun: 10am - 5pm Free Admission. Be sure and pick up a copy of the Atlantic Avenue magazine to read articles about the Delray Affair. Head on over to our new Facebook page and follow us on Twitter @delrayaffair. A Family event full of fun... games, entertainment, arts & crafts, food, facepainting, community service groups and more. A great moving concert (and sing-along) by The Puppetone Rockers. Boca Community Center, 150 Crawford Boulevard, Boca Raton, FL. This event will starts at 12:00 pm. Mobilize the Earth. Earth Day. around the globe will participate in Earth Day 2012 and help Mobilize the Earth™. People of all nationalities and backgrounds will voice their appreciation for the planet and demand its protection. Together we will stand united for a sustainable future and call upon individuals, organizations, and governments to do their part. Attend a local Earth Day event and join one of our Earth Day campaigns as we collect A Billion Acts of Green® and elevate the importance of environmental issues around the world. Together we will Mobilize the Earth™ on April 22 and demand change. Let us know what you are doing for Earth Day: register your Earth Day events on our toolbar, tell us on Facebook, or send us a tweet. Master designer Hoichi Kurisu, the builder of The Morikami´s Roji-en, will provide instructions for beginners interested in the basics of Japanese garden design. Participants will learn about fundamental differences in thinking between the Japanese and Western cultures. Using sketches, Mr. Kurisu will also discuss the Japanese concept of space, tree, and rock formation in Japanese gardens and culture. At The Morikami Museum and Japanese Gardens, 4000 Morikami Park Road, Delray Beach, Fl 33446. Tel: 561-495-0233. 10:00am to 12:00pm. Park those shoes for hours of Barefoot Fun: Tea&Toes Sultry Soaks, Foot Whisper Treatment ~ Acupressure Walkways, Historic Murder She Wrote Garden Tour; Wade in Bio-Pools: All for a Good Cause. Give your whole body, soles and soul the attention they deserve combining a relaxing foot soak with a therapy foot rub & essential oil massage. Sit back~relax~relish: "Day without Shoes" rounds off the edges w/tasty teas in a sultry soak ~ finishes up w/Martini March to Sundy House Bio-Pool and Bar. 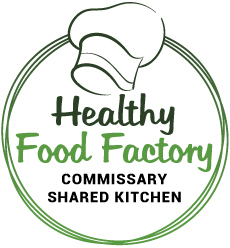 At Red Tent Wellness Center from 3:30pm to 5:30pm. 20 S. Swinton Ave. Delray Beach, FL 33447. 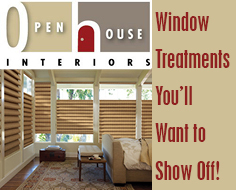 (561) 865-5791.